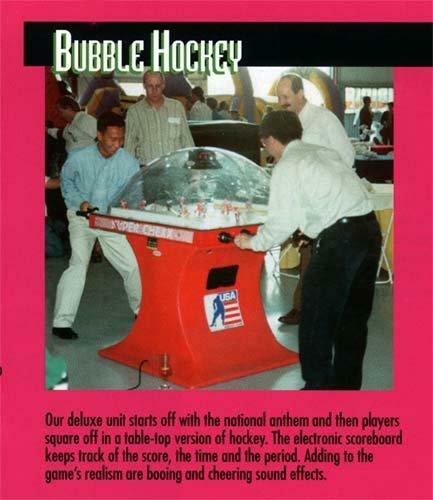 Our deluxe unit starts off with the national anthem and then players square off in a table-top version of hockey. The electronic scoreboard keeps track of the score, the time and the period. Adding to the game's realism are booing and cheering sound effects.